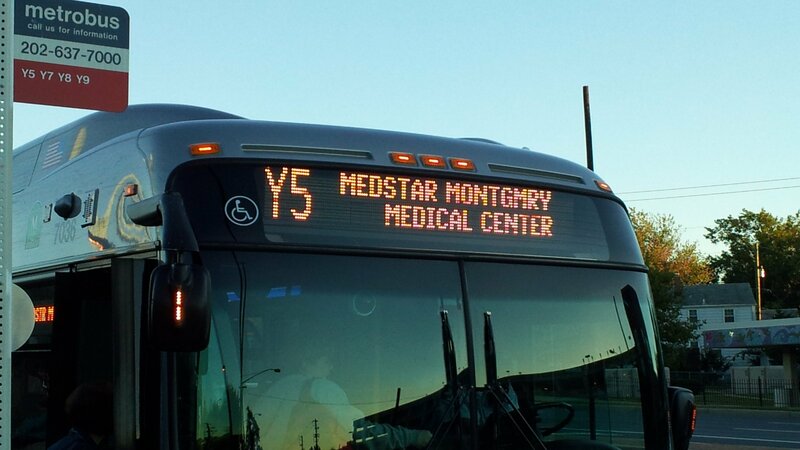 I was trying to find the photo of the destination sign for northbound Y buses that I took right after the destination signs were changed from “Montgomery General Hospital” to what you see here. It was a mouthful on the sign, but it worked well enough. This message would later be changed to drop “MedStar” from the sign. In the process of finding this photo, however, I made a nice trip down memory lane, seeing many old photos, some of which had interesting memories, and a lot of which never got discussed on the website for whatever reason (though they probably did hit social media). So here are a few selections. I took this photo on December 17, 2011. This was part of the big “Falcon” project from a few years ago, where I converted the entire website to run under WordPress. This struck me as interesting for a few reasons. First, my desk looks so different in this photo. Different speakers, different right-side monitor, different mousepad, and, most importantly, different desk! 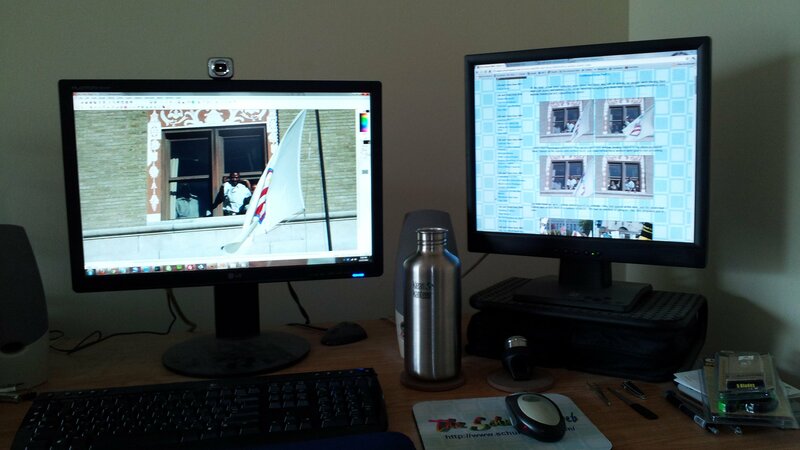 Then of course, the content on the screens depicted events that had occurred seven years earlier at the time that the photo was taken, and almost eleven years now. And then the website looked different back then, too. This was the last year of the 2008-2012 site design, which used the square pattern. It’s photos like this that really make you think about how much things have changed, even when you don’t necessarily realize it as it’s going on. 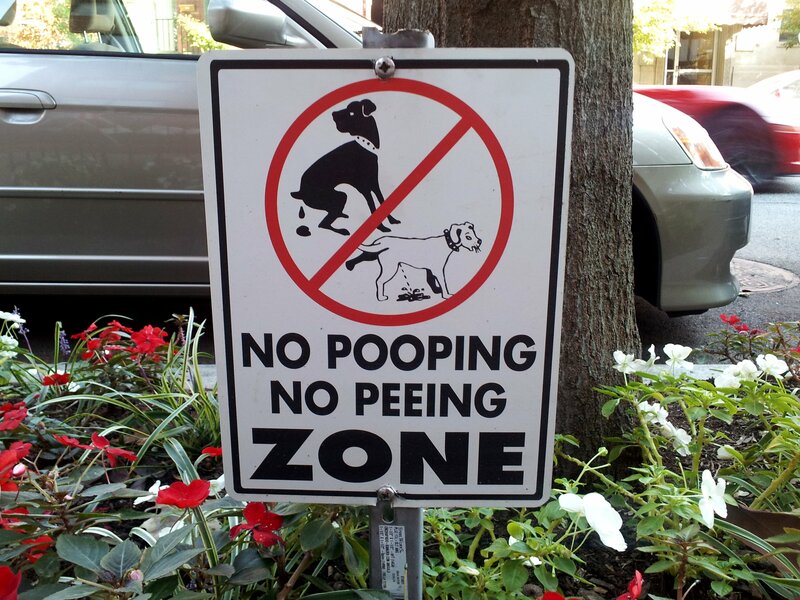 This sign was located next to a tree in front of the Webster House condominium building on P Street NW in Dupont Circle, and was placed in the summer of 2011. 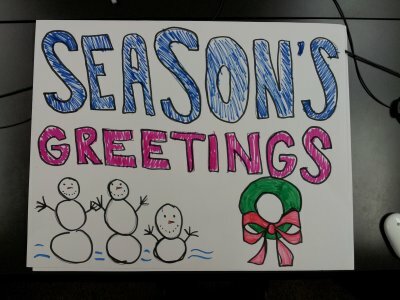 I had to walk past this sign every day when I worked at Food & Water Watch. With this sign, one really had to question which was the bigger bother: dogs’ doing their business in this area, or this sign. I’d argue that the sign is worse than the original problem. Apparently someone agreed with me, because the sign was eventually removed. I spotted this guy on the Metro on October 18, 2011 while I was heading into work. I remember thinking about how important looking that metal briefcase looked, and how he must have some important stuff in it. 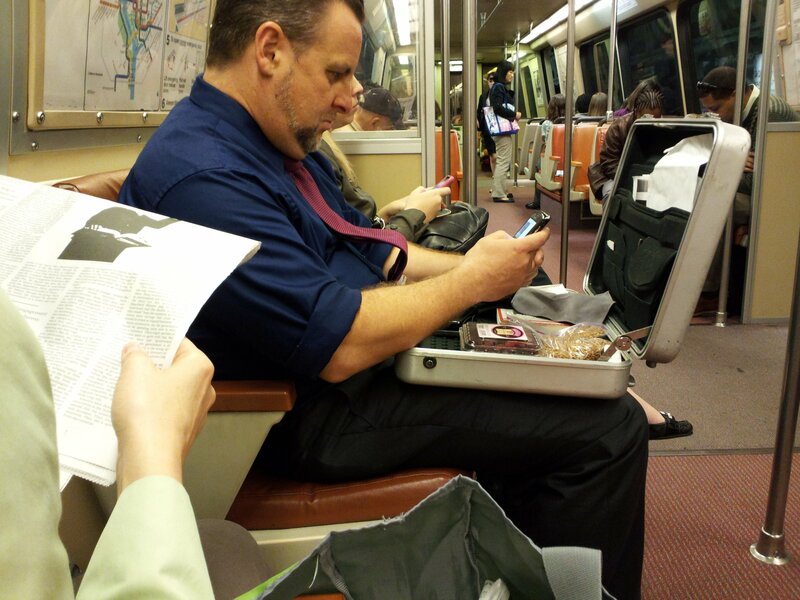 Imagine my surprise to discover that the important stuff that he was carrying around in that metal briefcase was… his lunch. 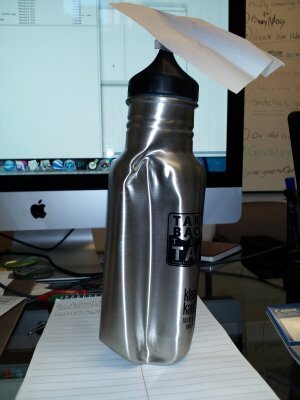 I’d be lying to you if I didn’t say it was something of a letdown to see his lunch in there. I was quite surprised one day to receive this in the mail along with a note from the post office. 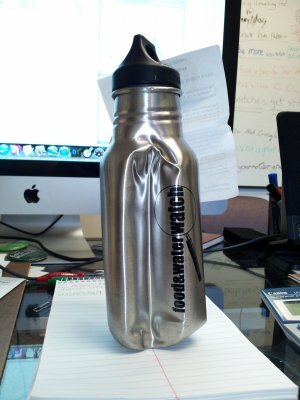 Apparently, there was a battle between the USPS’s equipment and the Food & Water Watch bottle, and the post office clearly won. On March 2, 2012, I found myself at the Brookstone store in Tysons Corner. This overpriced trinket was an electronic tablet that you drew on with a special pen and then pressed a button to erase. 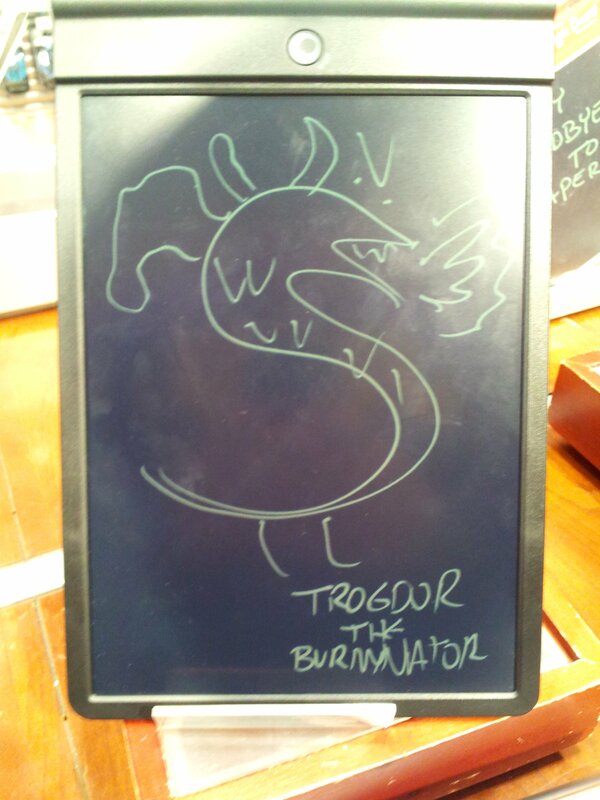 I tested it out with Trogdor from Homestar Runner, and I suppose it did well enough, for whatever that’s worth. Back on May 15, 2012, I attempted to draw a cow. 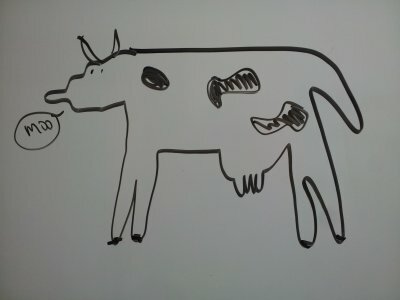 Clearly, any connection between this drawing and a real cow requires a bit of imagination to make. However, I at least hinted as to what it was supposed to be, with the little speech balloon that says “moo”. 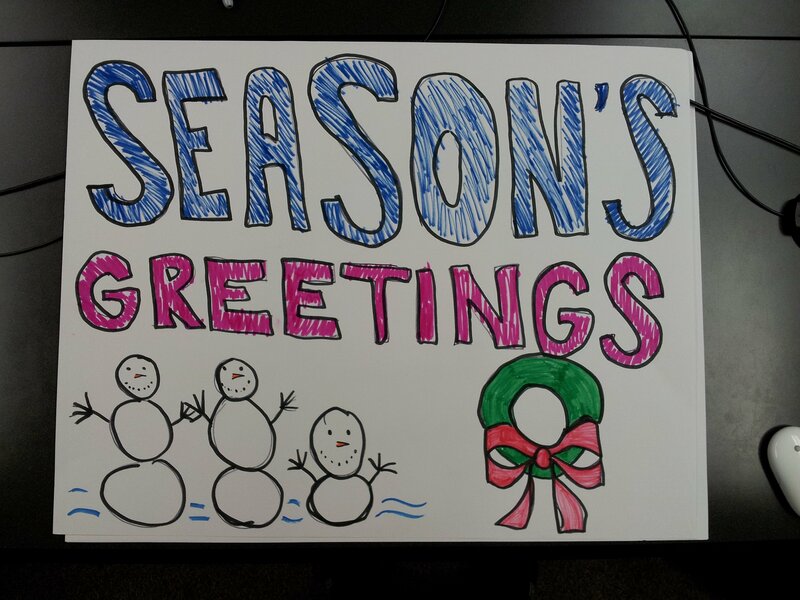 This was a poster that I did for some sort of holiday thing at work, though what the exact purpose it was to serve is now lost to time. It does, however, contain a very subtle easter egg for Today’s Special fans: the snowmen. It is from the “Which snowman is different?” quiz from “Snow“. So there are a few old photos of mine. I hope you enjoyed them. I might have to do this again next time I go digging around the archives.